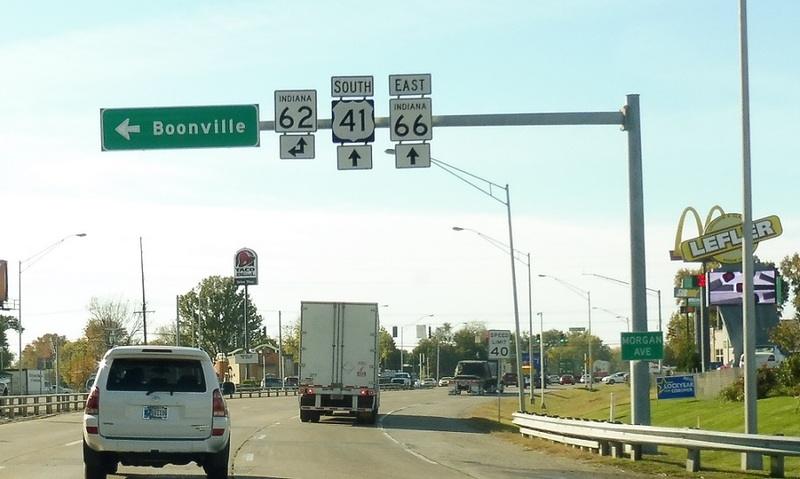 Just after 66 joins 41, we’ll approach Indiana 62, which heads east to Boonville. 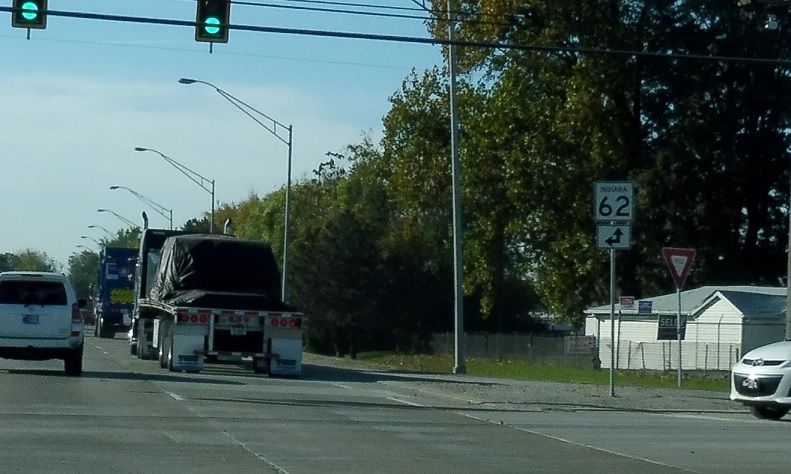 Turn left for 62 east. Stay straight for 41 south/62 west/66 east.